I decided to make today’s post food-focused because most of us are often thinking about food in one way or another: like what we can have, what we can’t have, what we crave, what we’re thinking about making, what we hope someone will make for us, etc. I’ve heard/read several people, most recently my nephew Kevin, complaining about how expensive it is to eat healthy, especially when you’ve got several family members to consider. He’s right. It’s hard, but not impossible. I just came across this article from Care2.com on 18 Easy Food Swaps to Save Money that I think would be a great read if you are tempted to fill your cart with less healthy, cheaper foods. Maybe it will give you some ideas. Also, I just have to promote this new “Lunchables” alternative that I found at Target — from GoPicnic. Really, they are great for kids or adults, but I compare them to the lunch/snack option that I know some people buy for their kids, because even though it is labeled as a ready-to-eat meal, for most adults, I think it would be more like a great afternoon snack. I’ve only tried one so far–the one with hummus–and it was pretty darn tasty. In fact, I’m looking for a box of those baked crackers now; I really liked them. 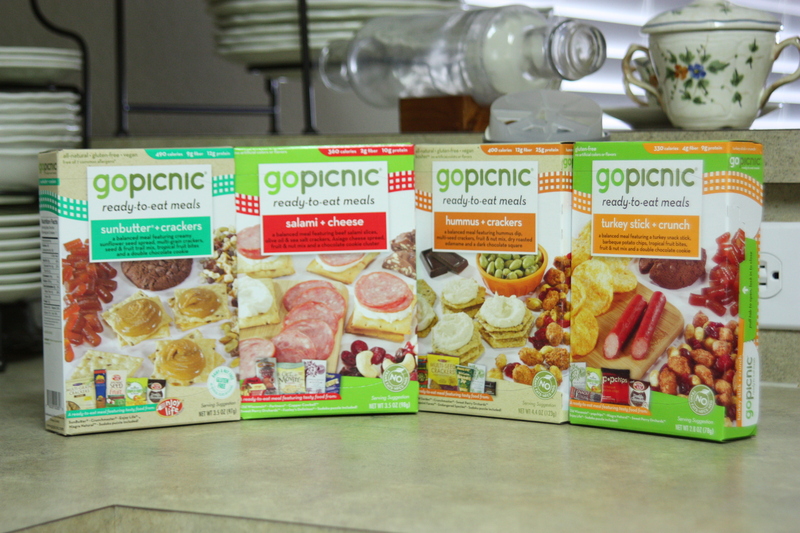 Anyway, they say GoPicnic meals contain no trans fats, no high fructose corn syrup, and no MSG. Three of the four boxes I picked up are also gluten free. You can learn more about them online at GoPicnic.com, but they sell them on their site for $5, and I got them at Target for $3.51. Try them out and let me know what you think. And speaking of recipes, I have purchased menu mailers from Leanne Ely of Saving Dinner in the past; they help you quickly and easily make meal plans each week, and they come in a variety of categories (low carb, low fat, meals for two, etc.). Leanne has just paired up with Dr. Terry Wahls, a clinical professor of medicine at the University of Iowa Carver College of Medicine, to introduce the Paleo Bundle to share the critical link between the foods we eat or do not eat and the health we have or do not have. The bundle includes five audio lectures from Dr. Wahls; a Paleo Primer, to introduce you to what the paleo way of eating is all about and give you some basic guidelines to get your pantry stocked; and a one-year subscription to Menu-Mailer’s Paleo plan, which provides you with various recipes and helps you customize your meal plan and shopping list. Pretty cool stuff. 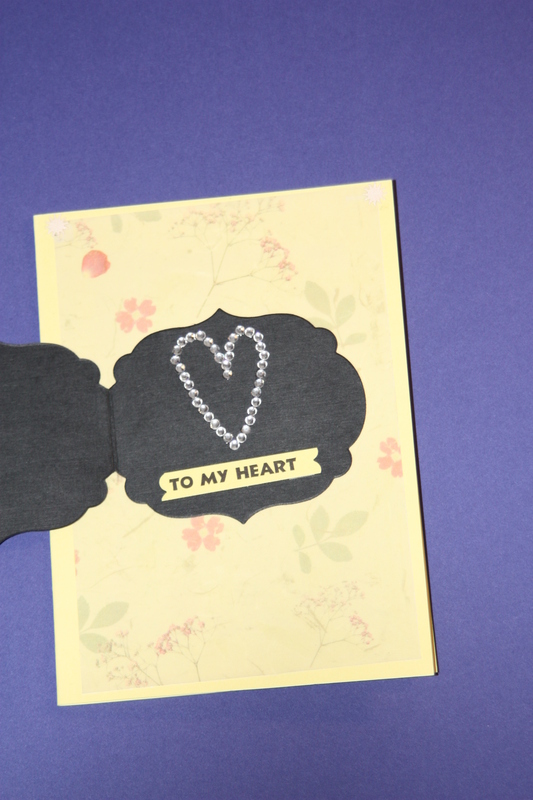 And finally, for today: Did you read my last post? 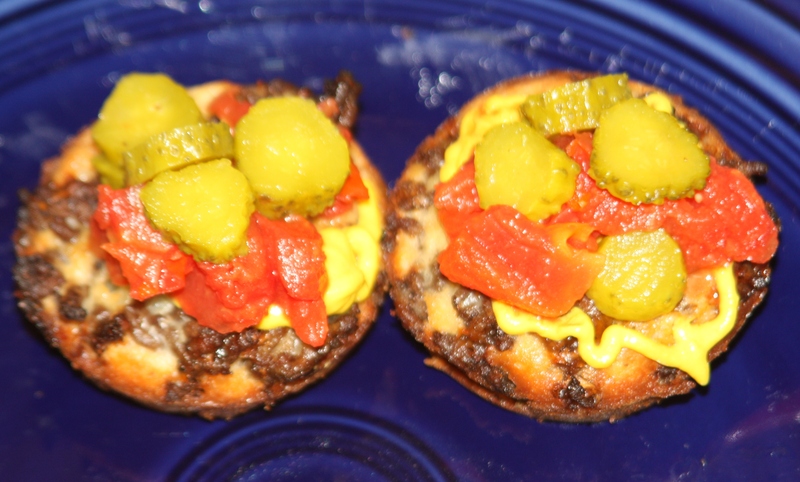 In it, I mentioned a recipe for Impossibly Easy Mini Cheeseburger Pies from Betty Crocker, which I hadn’t yet tried. Well, I made them last night. They were very easy and very good. You make them in a muffin pan and then add toppings like you’d put on your burger. I put my garnishes/condiments directly on mine; Bart preferred to dip his in a mustard and hot sauce mix. (We treated the mini-pies like finger food.) You definitely need a side with these or you’ll want more than the 2-pie serving per person. (I had 2; Bart had 3.) We ate these with sweet-tasting corn on the cob. Yum! I definitely recommend this recipe; however, I felt like it needed a bit more of the baking/Bisquick mixture. I suggest using 3/4 cup milk, 3/4 cup Bisquick mix, and 3 eggs (1-1/2 times the original recipe) to fill up the muffin pan more. Well, that’s all I’ve got for today. I hope at least one of the items I posted was useful to you. Personally, although I love using the crock pot, I don’t really want so much of a “hearty” meal at this time of year. I prefer something lighter. Does anyone have any good, healthy summer-time dinner ideas? Please share. Hope today fills you up with all good stuff. 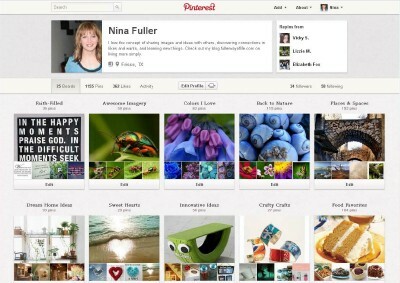 Through Pinterest, I found yummy recipes to try, great ideas for decorating and organizing, and awesome writers and photographers to follow. In fact, I discovered tons of wonderful sources of information and inspiration out there … way too many for me to keep up with them all on my own. That’s when I started thinking about how cool it would be to gather tips and ideas from articles that I read (both in print and online) and share them with you, and then you could share some of the things you’ve discovered with me. We could pool our resources. With that in mind, here are a few links to some great sites with recipes (some healthy, some not as much), decluttering ideas, green tips, amazing photography, and a Did You Know. I’ve got some almond flour to experiment with. I’m definitely going to make these; I’ll let you know how they turn out. Tired of chicken? Try the Best Pork Chops You will Ever Taste. I made these, and they are pretty tasty. They come out with a nice, crisp breading but are baked, not fried. Quick and Easy—Impossibly Easy Mini-Cheeseburger Pies: This seems like something simple to make on nights when your time is limited. I haven’t personally tried these yet, but I printed the recipe out and I plan to. Bart and I are currently making our own trail/snack mix to take to work. We buy things like roasted peanuts, honey roasted almonds, pecans, sunflower seeds, pumpkin seeds, craisens, and chocolate and peanut butter chips and mix them together. It’s pretty yummy and goes a lot further than some of the pre-packaged mixes in the store. Don’t have the space for a regular garden? Try Container Gardening I used to grow tomatoes in a container out back. We had to keep it up off the ground away from the bunnies. Last summer was just too darn hot to grow anything. In the past, I have also grown bell peppers and jalapeños in a container. It’s easy and very rewarding, especially if you have kids and you get them involved. Interested in trying a little green living? Here are Five Tips for a Healthy and Green Picnic. A perfect idea for beautiful days like those we’ve been having lately. Is all your STUFF weighing you down? Check out Parade Magazine’s “Full House” and learn how you can lose the extra, unnecessary possessions cluttering up your home, and take back your life. In last week’s post, I mentioned that I had found a place where you could recycle all the unmatched keys you had lying around your house. 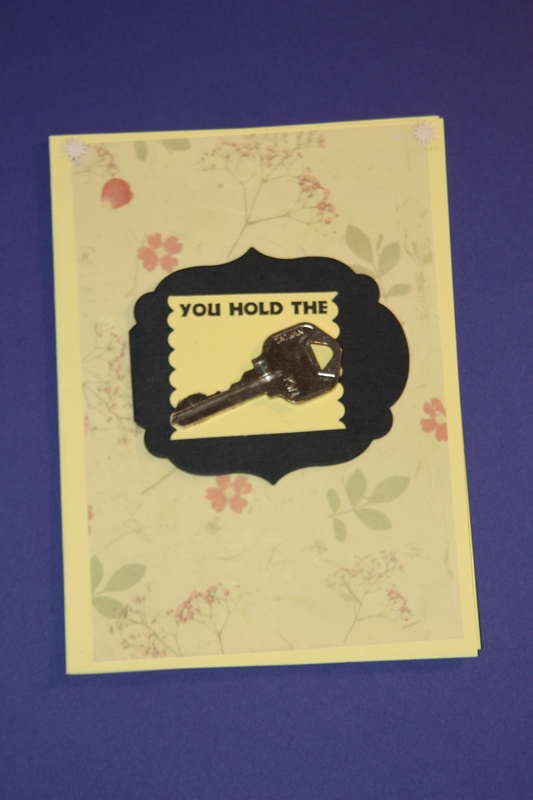 Keys For Kindness is a small, family-run program where they’ll take the keys, recycle them, and give the proceeds to the Multiple Sclerosis society. The site doesn’t currently look super active though, so you might want to email them before sending anything. As I continue with this blog, I think some weeks I will write more content and share specific things I am doing to declutter or “healthify” my life, and other times, I will mainly provide a list of links to great sites or sources of information. If you want to keep up with what I find, follow me and you will receive notifications every time I post, which I hope will be every Monday. Have a great and peace-filled week. When Is a Quiet House Not a Good Thing? When the quiet is due to loss. Have you ever rocked a sick child through the night or listened to your puppy cry in pain while you were powerless to help? How long the dark hours seem when you are physically and emotionally drained and all you can do is pray for daylight and a potential breaking of the “spell” of fear and fatigue. I had a night like that recently. I know this is a long post, but I felt like I needed to write the account of our last days with Lil’ Dawg and the sad, quiet house left behind. Some people think of dogs and cats as just pets; they enjoy having them and at the end of their lives, they are somewhat sad to see them go. But for others—like me and my husband, Bart—our dog was an important part of our family. We planned on spending several more good years with him; in fact, Bart thinks he got gypped. 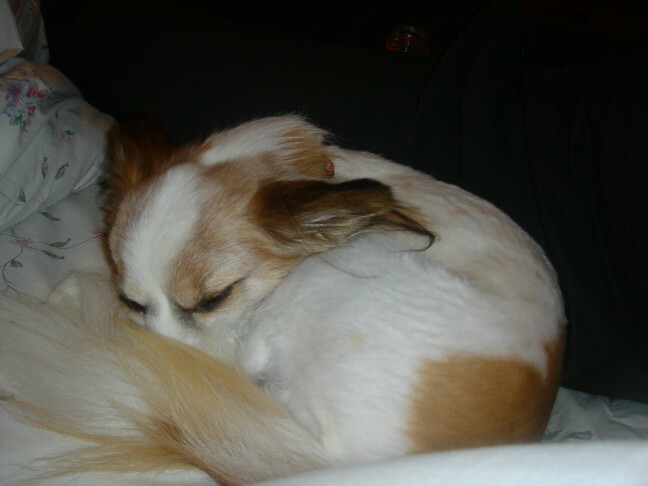 Papillons are supposed to live longer than 13 years, and until very recently, Lil’ Dawg (Little) showed no obvious signs of any health issues. So, his troubles came as an unexpected (and unwelcome) surprise to us. The more I think of it though, there were some little clues: he seemed to lose his balance and slip a little more often on our tile floors, and he waited for me to pick him up and put him in the extra chair in my office rather than jumping up there himself. Just some signs of aging, I thought. But then came the first scary night. I had come home from work and was on the computer, where you’ll often find me. Then Bart came home and joined Little and me in the office. Out of the blue, Little started holding up his back left leg and whimpering. We got down on the floor with him and he wandered back and forth between us. He’d let us hold him for a minute, but then he’d squirm to get free. He kept wanting to get under the desk, but he couldn’t seem to lie still for very long. I gave him a pain pill from an earlier prescription, but it didn’t seem to help. Bart went to bed and took Little with him, but Little wouldn’t stop whining. Finally, we decided I should take him to one of the emergency vets and see what was going on. Bart needed to stay and get some sleep as he had an early-morning meeting. The vet told me it seemed to be a neurological issue as there were no signs of a break or fracture; the only thing he could do was take an x-ray, but I knew that it would cost more there and it wouldn’t do me any good until our regular vet was open, so I declined. I asked if there was anything they could give him for pain to help him get through the night. This way, I thought, we could both rest until the vet’s office opened. I did tell them I had already given him a pain pill, but they said that was fine. On the drive home, in the back seat, Little cried louder than ever the whole way home. I kept trying to talk to him and soothe him, but it was heartbreaking to listen to him. At home, I discovered that his jaw seemed to be locked up and he had drooled all over himself and the blanket, poor baby. I stayed out in the living room with him so Bart could sleep. I wondered if I had done the right thing. I felt like the shot had made things worse for him not better; it never did help him get to sleep. I felt guilty for making Little suffer through the effects of the shot and guilty for praying for just one hour of quiet so I could sleep. Exhausted, I got Little in to the vet the next morning. Dr. Tucker was wonderful with him. He said Little had no feeling at all in the one back leg. He believed that the problem was a herniated disc and advised that we could try steroids to help; the only other option was a very expensive surgery with a neurologist, which was not guaranteed to change things. He began to address the issue of quality of life and perhaps having to make a decision at some point, but when he saw me tear up, he hurried on to say that he didn’t believe we were at that stage yet and we should give steroids a try. So we did. For the first two days, I couldn’t get Little to eat. I was able to get some water in him, and I had to put the pill in the back of his mouth to get it in him. Bart began to prepare himself for the worst. He said if Little wouldn’t eat and seemed to be getting worse, he’d have to make the decision to let him go; we couldn’t make him suffer because we didn’t want to lose him. I was proud of Bart for coming to that conclusion because I knew how much he didn’t want to make that choice, but I felt that we weren’t there yet. Finally, on day three, I got Little to eat some of Sylvester’s cat food, and he started to make progress. Bart and I were thrilled that he was eating and beginning to walk normally again. But our joy didn’t last long. A week later, as we began to wean Little off the steroids (going from two pills a day to one), everything took a turn for the worse. I tried giving him a second pill to see if it would help. I figured we’d just keep him on steroids for a while if we needed to. He showed a slight improvement in the morning but by evening, he was not only dragging the one leg, but suddenly seemed to lose feeling in his whole back end. He couldn’t even stand up outside to go to the bathroom. It’s so hard with dogs and kids, when they feel horrible and they don’t understand what’s going on, and you can’t fix things for them or make them feel better. It’s hard on them and hard on us. That night, Little started out wanting to be up on the bed with us; then he wanted down on the floor. I tried arranging sleep areas for him with a pillow and blanket, but he couldn’t seem to get comfortable enough to go to sleep. He’d try lying down; then he’d sit back up and lean up against the wall. His head kept tipping back and he would look up like he was staring at something. I wondered if he was seeing angels. I tried several times to go to bed and get some sleep, but I kept hearing him scoot around the room, getting stuck in different corners, dragging his back end and crying. I cried myself. For his pain, for my inability to help him, for the loss I knew was coming. At one point, Little didn’t even seem to recognize me, and he snapped at me as I tried to help him move from one of the corners he’d gotten stuck in. Bart and I didn’t even have to voice the words; we knew what the morning would bring. I prayed that Little’s misery would be removed and that he’d be at peace; I prayed for rest; I prayed that morning would come more quickly … but it didn’t. After a long, sleepless night, I called Dr. Tucker’s office as soon as they opened and chokingly told them that Little was suffering and we needed to bring him in. They told us to come in right away. During the night, Little had scooted himself into the bathroom closet. Bart gently scooped him up in a blanket and hugged him close. He held him in his lap as I drove. Luckily, the office is only 2 minutes from our house. The staff at Frisco West was sweet and caring. Dr. Tucker came and talked to us and explained the two shots that he would give Little, and he reassured us that we were making the right decision. (I am tearing up just writing about this now.) He said that some people try to prolong their dog’s or cat’s life past the point where it is humane to do so; he knew how much we loved Lil’ Dawg and could see that we had given him a great life, but now it was time to give him peace. As hard as this next part was, we didn’t want Little to go through it alone. Bart held Little and I put one arm around Bart and a hand on Little to let him know I was there. The first shot was a dose of anesthesia to relax him and put him to sleep so he wouldn’t feel anything else. No pain, no fear, no exhaustion. Then came the final shot—Bart felt Little’s heartbeat slow, slow, slow, and then stop. I couldn’t feel it, but I knew when it happened. He was gone. As Dr. Tucker took him from Bart, I tried not to look at the limp body that was no longer Little. We cried then—as I am crying now—and went home to a quiet house. When your dog has been such a big part of your life and your schedule, it’s amazing all the things that you begin to realize he affected and all the moments where you feel the loss. When I feed Sylvester in the morning, there is no one waiting to lick the spoon. Now that I’m not taking Little out every morning and when I get home from work, I haven’t been out in the backyard in over a week. When Bart and I go out for breakfast, there is no one to save a piece of bacon for. I still sit far forward on my office chair even though there is no one lying on the chair behind me. We keep a nightlight on in the bathroom, but I wear a sleep mask to block out the light. I just realized the other day that I was still leaving the bathroom door open, but I only did that originally so that Little had enough light to see to get up and down from the bed. Every time I pull the car into the garage, rather than an excited welcome-home bark, I am greeted by the sound of silence. Naps on the couch are just not the same. Although we still have Sylvester, he doesn’t quite fill the same role that Little did. We will always be dog people. After figuring out many things—our schedules and time availability; whether we want a big dog or little dog; puppy or adolescent; breed; our needs and a dog’s needs—we will eventually invite another dog into our home and our lives. But we will always have a place in our hearts for Little. We miss you Lil’ Dawg. But we will see you again. 8 The infant will play near the cobra’s den, the young child will put its hand into the viper’s nest. At the start of the year, I had a vision for a new blog. Inspired by a book, Organized Simplicity by Tsh Oxenreider, and several magazines, I decided I wanted to write about living a life with more meaning and substance and less stuff and chaos. Based on my last name (and url availability), I chose Fuller Way of Life as my domain name. Well, as life would have it, the first few months of the year have certainly been “fuller,” and because of that, I haven’t found the time to actually simplify my life or get my new blog going … until now. 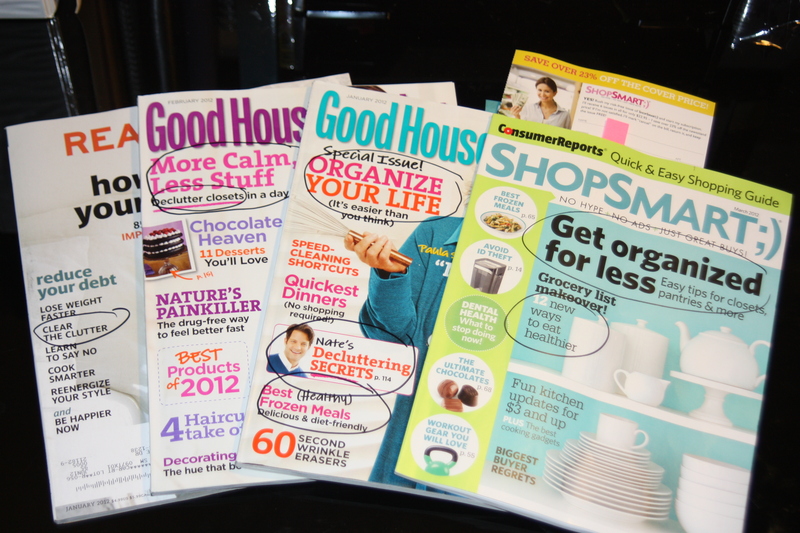 At the beginning of the year, all my magazines contained articles on decluttering, organizing, and eating healthier — concepts many of us are trying to incorporate into our lives. But something happened recently that stirred the writer in me, and I feel that I must put the words and thoughts down soon or they will endlessly circle my mind and mentally drain me until I do. To appease the muse, I am working on a post that doesn’t quite fit with my new theme, yet I feel compelled to write it. I had hoped to post it this past weekend, but I was suffering from some fibro pains and was totally drained, so I rested instead. Meanwhile, if you were a follower of my blog “Everyday Moments,” please go ahead and follow me again here at Fuller Way of Life. I recently migrated my posts from Blogger to Word Press, which I believe will give me a lot more flexibility and will make it easier for more of you to follow me. And if you weren’t a previous follower, I hope you will choose to follow me now. I promise I will have some interesting household suggestions, product recommendations, blogs to check out, “did you know” concepts, and more. For example, did you know you could use removable window decals (like the ones sold for holidays) to decorate and distinguish wine and water glasses at parties or even for everyday use? It’s a quick and easy DIY project. 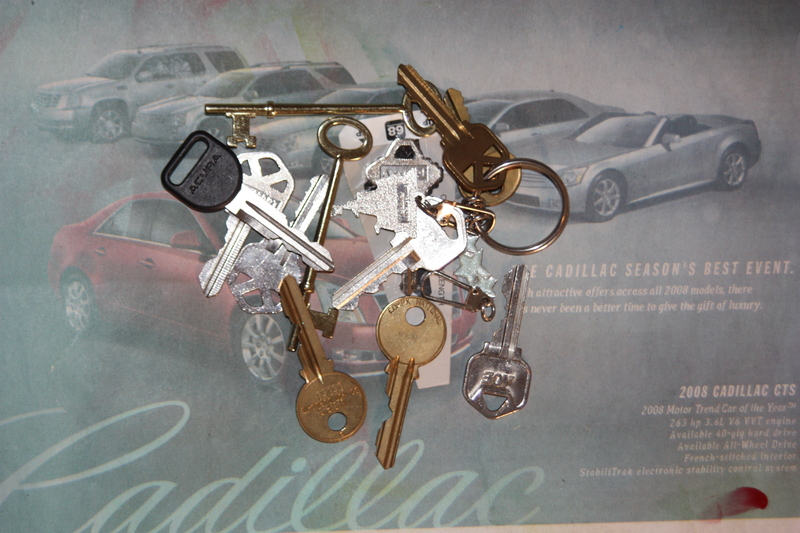 Do you have keys lying around the house or in a drawer that you have no idea what they go to? Check back with me next week, and I’ll tell you how you can recycle them for a good cause. Hope your week is only as full as you wish it to be.